Most parents are familiar with the fussiness that a newborn starts exhibiting around 2 weeks of age. What happened to the peaceful, sleep-feed-sleep machine you brought home from the hospital? Studies show that around the 2-week mark, infants are naturally inclined to turn up the waterworks. Crying intensity peaks at 6 weeks and generally stabilizes around 3 or 4 months. Although this is considered the “normal crying curve,” the fussiness falls along a spectrum, with the most extreme criers likely to have colic. 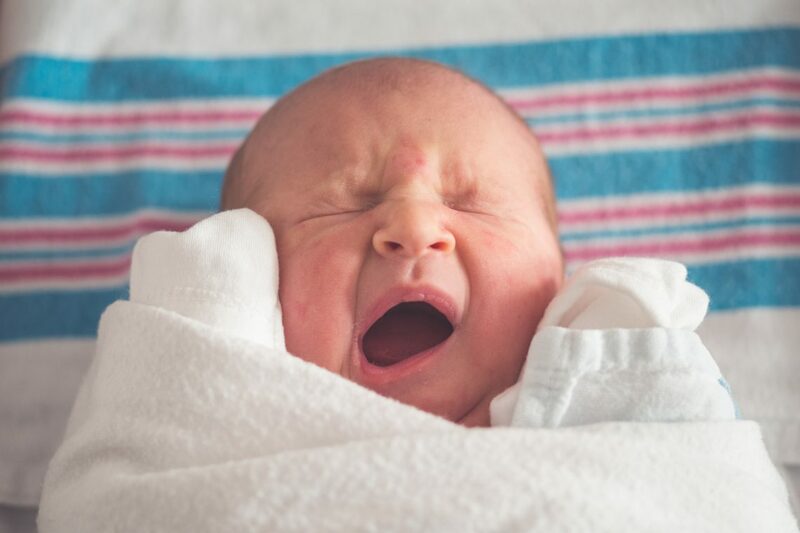 Colic is consistently defined by the “Rule of 3s.” It’s period of cry-screaming that lasts longer than 3 hours, happens at least 3 days a week, and occurs over a timespan greater than 3 weeks – all from a baby who is otherwise well-fed, healthy, and has all his needs met. Some pediatricians consider colic to be a subjective condition. In other words, it’s an accumulation of symptoms rather than an actual diagnosis. And many believe excessive crying is just how certain babies cope with life outside the womb. At this age, your baby’s nervous system is still developing. As a result, he’s likely still sensitive to noises, lights, temperatures, and other stimuli. Colic is relatively common – around one-fifth of newborns develop symptoms. All babies cry, of course. But the hallmark signs of colic are more extreme. Your baby may become inconsolable without any apparent trigger or warning, usually during the late afternoon or early evening. His face may become flushed, and he’ll likely arch his back and clench his fists. A bowel movement or passing of gas may provide temporary relief. One surefire way to distinguish your baby’s crying from something more serious? Distract her. Try giving her a soothing bath. If it’s a tangible, physical pain (e.g., an ear infection), a distraction won’t, well, distract her. If it’s colic, it will. It’s important to remember that – despite physical indications otherwise– there is nothing immediately wrong with your baby. There isn’t a consensus around what exactly causes colic symptoms, but one popular hypothesis is it’s related to an imbalance of melatonin and serotonin. (Serotonin contracts intestinal smooth muscles, melatonin relaxes them.) Infants get plenty of mom’s melatonin when they’re in-utero, but once they’re out of the womb, they don’t start naturally producing it until they’re 3 months of age. That’s incidentally when colic typically comes to a blissful halt. On the other hand, since colicky babies often pull up their legs during fits, it might seem like stomachache is the root cause. However, it’s now understood that – since babies forcefully inhale air when they’re crying – crying jags actually cause gas. In other words: Whatever the exact origin, your baby’s colic is not your fault. That being said, there are several potential culprits that tend to exacerbate symptoms. These include exposure to cigarette smoke, acid reflux (GERD), and food allergies. If you’re nursing and your baby has developed colic, try eliminating common allergens (eggs, dairy, wheat, etc.). Start by cutting cow’s milk from your diet to gauge whether it’s triggering a reaction in baby’s sensitive system. (A 2005 case study from Pediatrics confirms it’s worth a shot.) If baby is formula fed, try switching to a hypoallergenic variety. How long does colic last? Colic typically starts when babies are around 3 weeks old and peaks around 6-8 weeks. 80-90% of cases go away on their own when the baby has reached 3-4 months of age. To call colic tough is an understatement. In order to deal with it (without sacrificing your sanity), it’s helpful to DIY a battle plan. One of the saving graces of colic is its consistency, so look for a pattern to the “witching hour.” Log the tantrum hours for a week or so: Does baby go off every night between 7 and 11pm? Clear your schedule during those hours, and enlist help from your partner or other family members (for cooking dinner, to take turns soothing, etc.). Then, have your personalized fleet of tools and tactics at the ready. As any parent who’s survived a bout with a colicky baby will tell you, every child is different – there’s no single panacea for colic. Other babies are soothed by white noises, like a vacuum cleaner or dishwasher. Prevention suggests recording the sound of vacuuming on your phone – an especially helpful tactic when you’ve run out of rug to clean. Some parents swear by swaddling, though initial attempts can be intimidating when your screaming baby seemingly rejects all your efforts. Perseverance is worth it. Wrap baby’s arms snugly at his side, but keep his hip area loose. What seems a straitjacket to us is a soothing replication of the womb for baby. Combine this with gentle swaying for maximum calming results. Still other little ones find relief when their position is shifted. Healthline suggest laying your baby on his tummy across your stomach or lap, and rubbing his back. (Only keep your infant on his tummy when he’s awake and under supervision, of course!) Infant massages may also help relieve gas, as well as promote the many benefits of skin-to-skin contact. In The Good Sleeper, author Janet Krone Kennedy, PhD, notes it’s often easier for the non-nursing partner to soothe a colicky baby. The smell of milk may trigger a desire for baby to feed, even when he doesn’t need to. 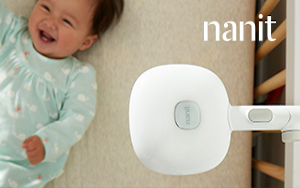 There’s no shortage of products on the market intended to calm babies with colic. The medication (if any) you choose is dependent upon your child’s symptoms. Check with your doctor before giving your baby any supplements or traditional medicine, such as gripe water. Worth noting: Pediatricians think certain probiotics may aid in soothing colic. One of the major concerns parents with colic have is disrupting their child’s sleep development. Many worry they’ll create bad habits with all the necessary excessive soothing. One way to establish good sleeping habits on a baby with colic, according to Kennedy, is to incorporate them solely during his “good” hours. View the colicky hours as their own entity, and deal with them best you can. But for the other 21 or so hours, don’t oversoothe; follow your typical sleep facilitator rules instead. What’s important is baby gets as much rest as possible, to avoid over-fatigue. This will help him bounce back quicker from the colic stage. Feeling stressed? We don’t blame you. The sound of crying babies has been used as an endurance test for Navy SEALS – and it’s a typical day in a home with a colicky baby. Don’t feel guilty if you need a moment alone to get composed, or cry a bit yourself. Above all, soothe yourself with the knowledge that this is just a phase. Molli got her professional start teaching baby sign language to 6-months-old students in Santiago, Chile. She's nannied extensively in New York City, and is now a freelance writer (molligcarlson.com).